The Knicks have signed SG Arron Afflalo, according to reports. 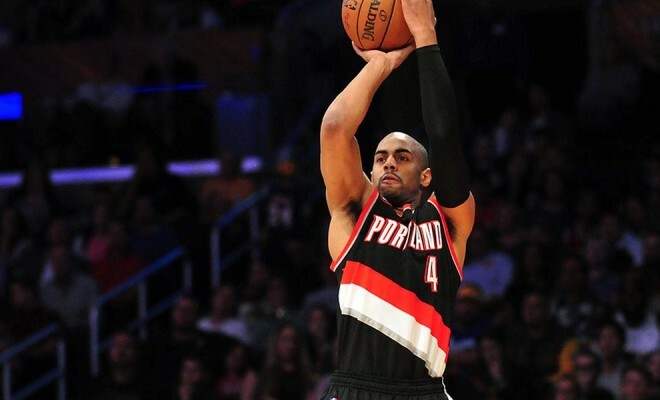 Afflalo, who will turn 30 just before the start of the season, played for Denver and Portland last year. Afflalo had an excellent season as a key player in Orlando’s offense the year before, averaging 18 points and shooting 43% from beyond the arc, but had a down year in 2014-15, averaging just 13 points and shooting poorly from the field, which certainly hurt his value. The Knicks will reportedly give Afflalo a contract that will pay $16 million over 2 years, although Afflalo has a player option after the first year, in which he will earn around $8 million. The 6’5 Afflalo is known as a “3 and D” shooting guard, although his defense regressed last season, which is why the Knicks were able to get him at a reasonable price compared to all the other free agents who have signed thus far. This entry was posted in Articles and tagged arron afflalo knicks, KNICKS, knicks arron afflalo, Knicks news on July 2, 2015 by Tommy Rothman.